Update:There’s a better way to do this using the [attr=”value”] selector. Being a web designer, I like to make things as close to pixel perfect as I can when I’m coding. 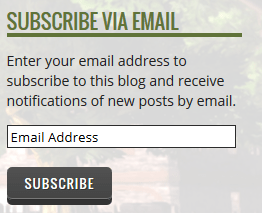 So when I created a really nice button purely out of CSS for my blog redesign, I wanted to apply it everywhere. One thing I love about WordPress is that everything is neatly labelled with all sorts of classes and IDs, making it super easy to style with CSS. You can’t use “name” or “value” to select it with CSS, and it’s within a plain old paragraph tag that’s one of many plain paragraph tags in the widget. So attempts to style just that button were fruitless and it ended up looking something like this. My Google Fu lead me to some results describing how to edit the plugin code, but that’s not something I’d really like to do. What if it’s overwritten in the next plugin update? I don’t want to be redoing it every time that happens. The one unfortunate thing is that the :last-child selector doesn’t work for IE8 and below. So unfortunately people using those browsers will see the ugly version instead of the pretty version. I’m sure there are hacks to fix that but I don’t support IE8 or lower on this website myself. It’s just too much trouble for me. 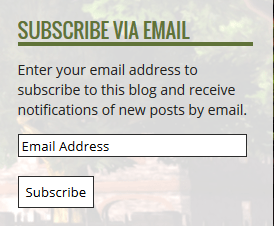 Until they get around to adding a class or ID to the Subscribe button, this will have to do. Happy coding! Normally I’m not very up-to-date when it comes to new game news. I’m the sort of person that discovers games months or even years down the road and wonder how the heck I could have missed it all this time…. I searched for hours and finally got it working! Awesome!